Alchemist CDC regularly works with college and university students (pre and post-graduate) to offer them an exciting opportunity to work directly with community members. Students gain hands-on work and service experience, and Alchemist’s projects benefit greatly from the knowledge and enthusiasm of its interns. 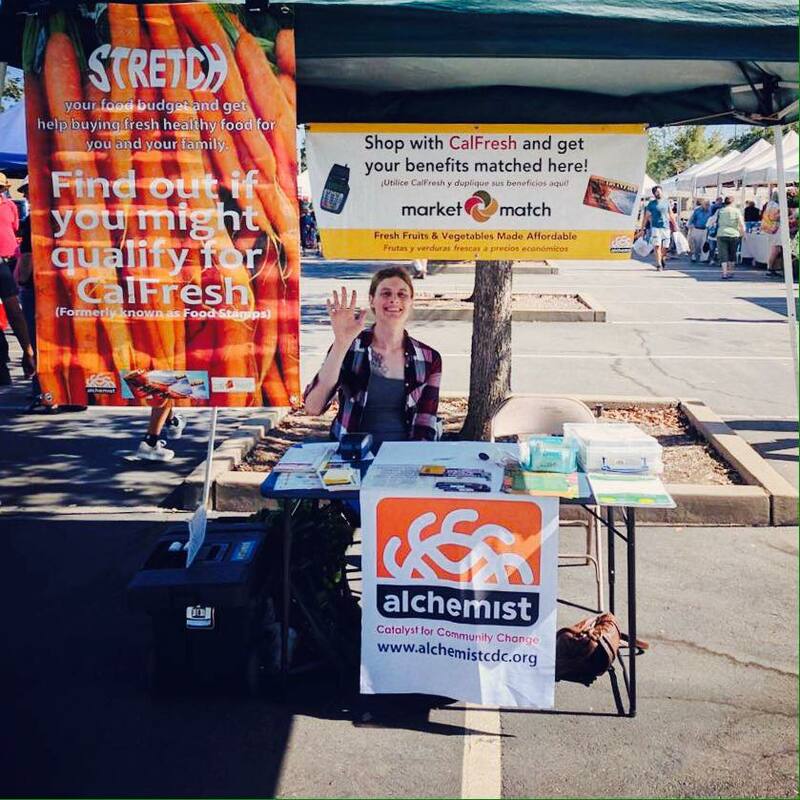 1) Farmers’ Market Intern — an outgoing, conscientious, and reliable morning person to facilitate processing of CalFresh benefits so that EBT card users can buy fresh produce; to deliver health and nutrition information. We are especially looking for interns with Tuesday, Wednesday or Thursday morning availability. For a full description of the current internship position, please click here. Alchemist CDC is also open to crafting an internship position around your academic and career goals, focusing on such skills and programs as: Policy change, community outreach and engagement, social justice collaboration, vacant lot revitalization, marketing, evaluations, and social media.